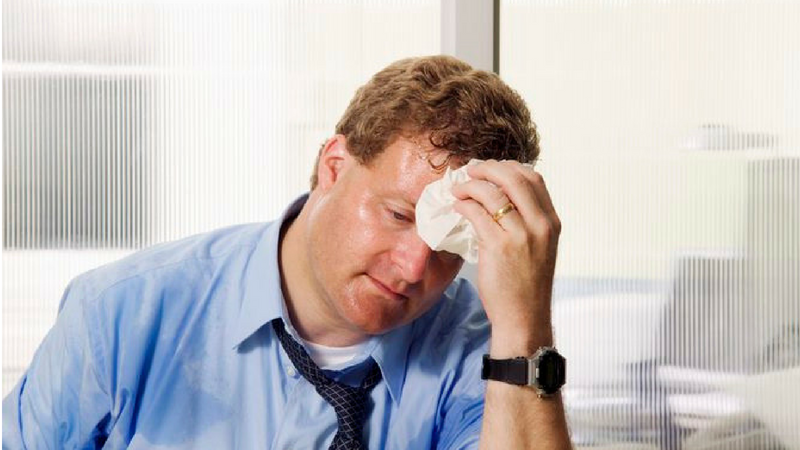 Most people wouldn’t know about the struggle of having to deal with that excessive and annoying sweating to deal with. The walk of shame with those sweaty patches on you can be really embarrassing. How many ever layers of shirts you wear, it always finds a way through to ridicule you. People like you would relate to a bucket full of sweat from all the frustrating commotion of unnecessary thing. In the already foregone hope of you trying to find a remedy, summer comes to make it worse. Summers amplify your hopelessness over your terrible sweaty glands. It is literally a battleground between you and your sweaty armpits. Well, you can get some comfort with that fact that you are definitely not the only one surviving this. 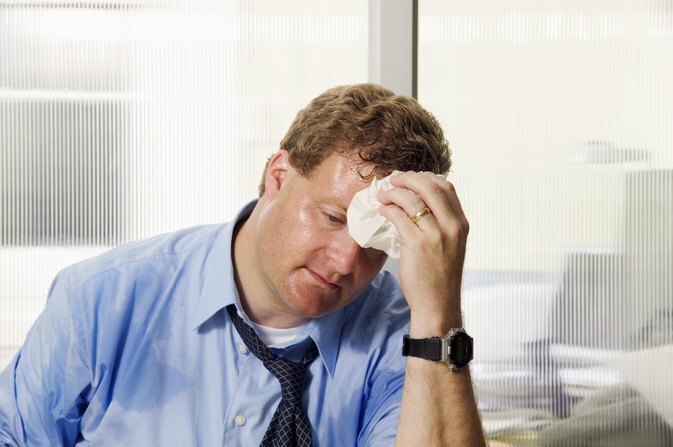 Go through these relatable awkward situations that only super sweaty people will understand. You might think that taking a shower might conquer your sweat. But instead, you wind up in a pool of your own sweat within minutes. Whatever you might do, the sweat never leaves your side and you inevitably accept the defeat. You might just be casually sitting at your desk, working for the day and suddenly you look like a professional athlete who ran for miles to come to work without a shower. This definitely lets your day go into the dark mode for a while until you get your sweaty superpowers under control. The only place you manage to win over your sweat is at the gym. It can make you look powerfully dedicated to your routine and that might be the only upside of being a sweaty clown. Deodorants and roll-ons become your ultimate savior. They might work on some and for some that is not even powerful enough to face the fury of your sweat. Forgetting to wear an antiperspirant might just drive you crazy. And sometimes when you are running on bad luck and forget to wear it, it is just preposterous and the anxiety of the sweating profusely kills your enthusiasm for the whole day. You are mostly seen to carry around napkins as a remedy. This is your top weapon at any given moment to wipe away the troublesome sweat. Anxious sweating is another kind of terror to bear. Everyone keeps staring at you like you are one individual element on display with all those sweat marks on you. You might think that your sweet hands will come to your rescue but they defy you with a puddle of sweat on them. You cannot even hold anything properly because they are so moist to have a grip on anything. And it gets even worse when you are up for a meeting or interview. Sweat does not regard any circumstances, be it whether you are out on a cozy date or hanging out with friends. You choose to wear the compatible colors that could save the sweat patches from being visible. Dark colors make those marks look so terrible and so you are better far away from them. You might want to try out anti sweat undershirt. Your sweat is always right around the corner to embarrass you. They are sure to make an appearance to make a fool out of you in front of everyone around. And along with a bit of spicy food or a zing of alcohol, you are bound to make a sweaty impression at the location. Winter is the season you desperately yearn for. Well, the cost comes to save you from all your sweaty troubles. You keep looking forward to December to have a nice time which does not involve you losing your mind over your body perspiration. Although, you still find yourself in the maze of sweaty toes and back at times. And you finally come to the conclusion that it is never going to leave your side. Instead of wearing fabrics which increase your sweat production, you can try NGwear anti-sweat undershirt which helps in keeping your perspiration rate under control. Cotton fabric is really highly absorb-able and it keeps your sweat at bay while simultaneously helping you to avoid sweat patches. For those suffering from nervous sweat, should definitely check out these effective remedies for nervous sweats.